With this award we recognise the first-named author of the best original scientific research, published in UEG Journal in the past year. 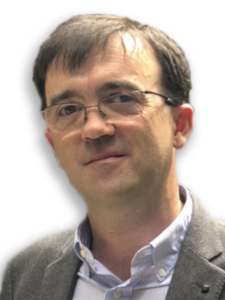 Dr Joaquín Cubiella is a clinical researcher at the Complexo Hospitalario Universitario de Ourense, Spain. His two main areas of research interest in the last 20 years have been the diagnosis and prevention of CRC and the coordination and integration with primary healthcare. He has participated in national and international research projects in the field of diagnosis (COLONPREDICT), screening (COLONPREV), prevention (EPoS, Seguicol) and risk assessment in familal or hereditary forms of CRC (EPICOLON, EPIPOLIP, ParCoFIT). In recent years, his research group in the Galicia Sur Health Research Institute has focused on the development, validation and evaluation of diagnostic biomarkers of CRC. He is author of more than 90 publications. 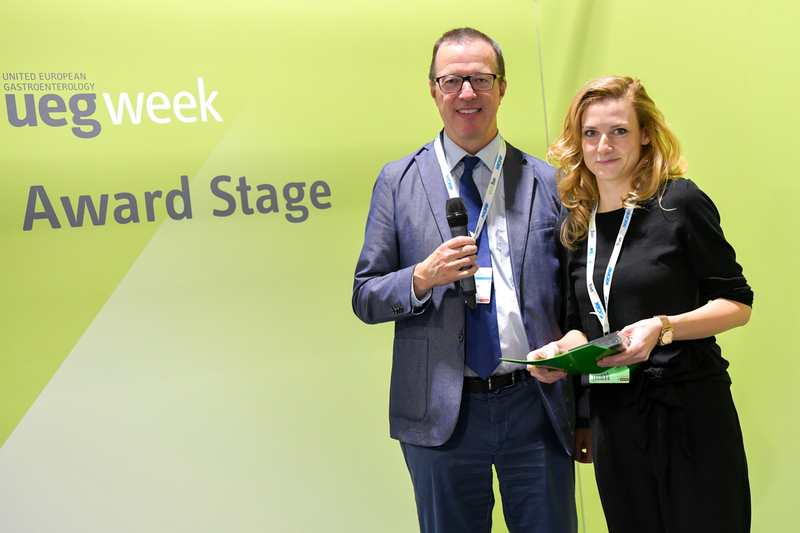 Joaquín Cubiella received the award during the 2nd part of the Opening Session of UEG Week Vienna 2018 on Monday, October 22, 2018. 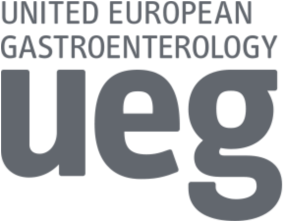 First named authors of submitted articles to UEG Journal. 2017 - Clive H. Wilder-Smith, Department of Preventive, Restorative and Paediatric Dentistry Bern University, Switzerland. Watch the interview with Clive H. Wilder-Smith. 2016 - Tara Raftery, National Children's Research Centre, Our Lady's Children's Hospital, Dublin, Ireland. 2015 - Asbjørn Christophersen, Centre for Immune Regulation, University of Oslo, Norway. 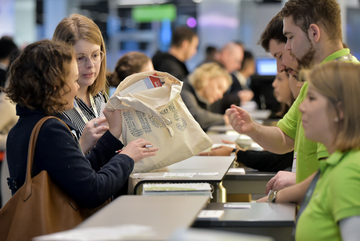 The 4 best daily posters at UEG Week are awarded this prize on the basis of scientific merit using the evaluation process of the Scientific Committee. 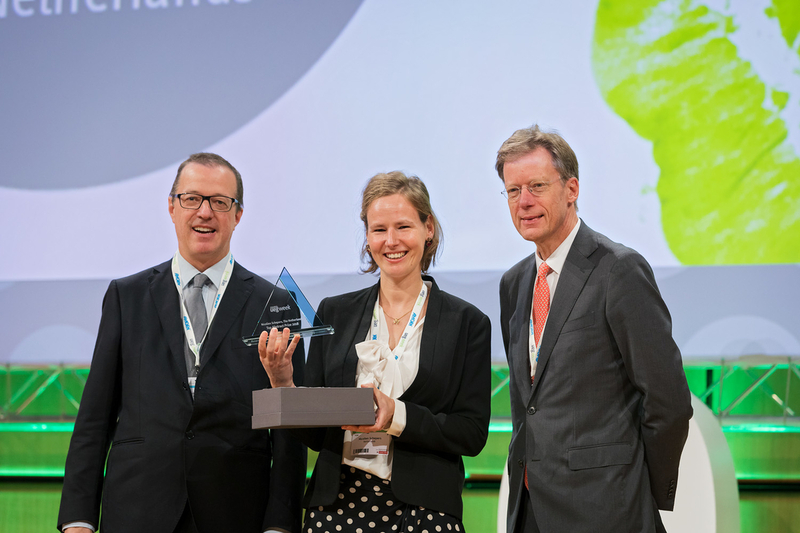 Every year we award prizes of € 10,000 to each of the top 5 abstracts submitted to UEG Week.